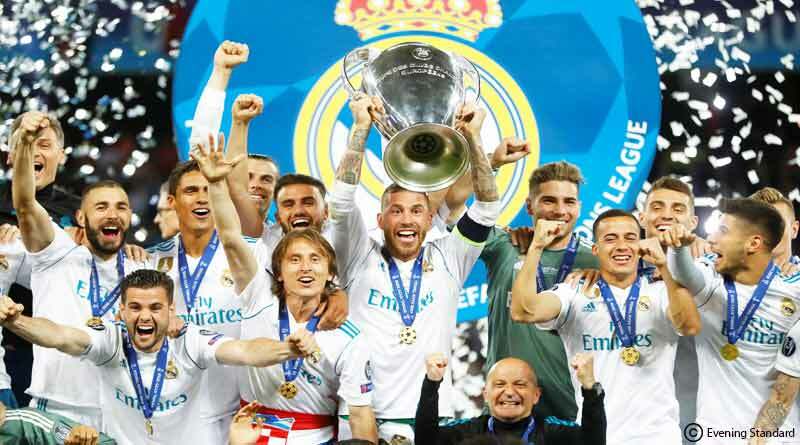 Champions League Final – With Spanish giants Real Madrid defeating Liverpool for their third consecutive and 13th overall Champions League title, we take a look back at the main highlights of champions league final and deciding moments on the night. Salah’s Injury- The mercurial Liverpool attacker was forced to exit the pitch halfway into the first half after Sergio Ramos wrestled him to the ground. In a clear move to injure, Ramos grabbed hold of Salah’s shoulder as the pair went to ground resulting in a sever shoulder tear for Salah. The move changed the complexion of the match with Liverpool struggling to replace his speed and guile for the rest of the match. Ramos’ action has since been criticised throughout the world with many calling for a ban for him. Karius’ Blunder- With Liverpool managing to trouble Madrid time and time again, their goalkeeper Laurus Karius took no time in ruining all the hardwork put in by them. He passed the ball straight to Benzema for the first goal in a shockingly amateur move. Failing to learn from his mistake, he let in a long ranger by Bale that could have easily been punched away to end up as the villain for Liverpool. Bale’s Impact- Shifting for villain we move to the hero of the match. Gareth Bale changed the entire complexion of the match after he was introduced around the 60 minute mar by Zidane. His overhead kick stunned viewers the world over to give Madrid a 2-1 lead and will go down as probably the best goal scored in a CL final. The Welshman oozed class from the first minute he was on the pitch and went onto score his second late into the game and seal the game 3-1 for his side. Bale and Ronaldo’s Interview: Unhappy with the way he’s been treated at Madrid currently, Bale who was the man of the match on the night dropped hints that he could be on the move this season. The comments will surely interest top clubs over the world who’ll be dying to sign him up. Surprisingly, Real Madrid’s main star Ronaldo too was coy about his future at the club, saying he was unsure of his future which he would clarify in a few days. Record Breaker Ronaldo- Ending as the tournament’s highest goal scorer once again, Ronaldo lifted is fifth CL trophy to show why the tournament is his personal play-ground. He has scored the most goals in the tournament’s history at 120, has the most wins at 97 and has scored in a record 11 consecutive games.